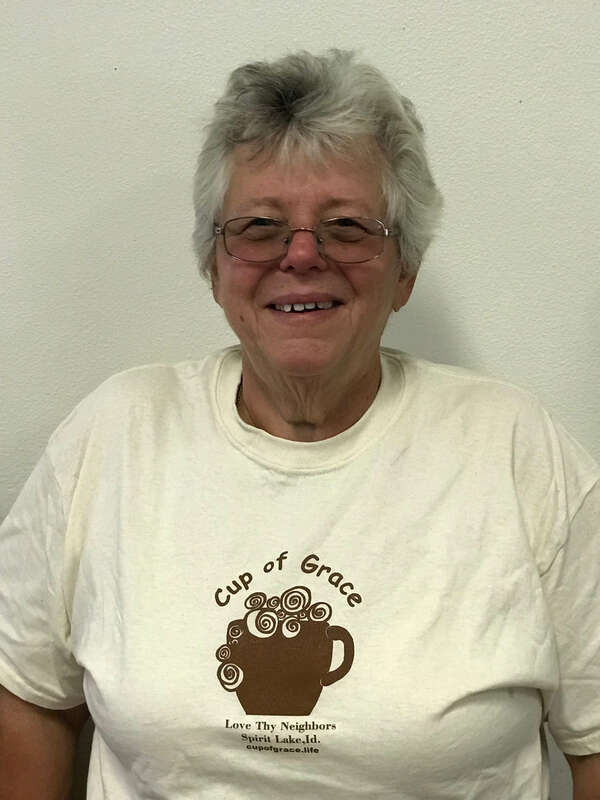 Marsha volunteers weekly and is one of Cup of Grace’s main cooks! How did you learn about Cup of Grace? Through Peggy at Old West Hardware. What drew you to volunteer? I want to cook and feed people. How long have you volunteered with Cup of Grace, and what do you do? 8 months. I do whatever is needed each week. What is your favorite part of volunteering with Cup of Grace? Do you have a favorite story to share? Creating menu items with the resources that are available to us. What do you like to do when you are NOT volunteering at Cup of Grace? Do you have any favorite hobbies, activities, etc.? Gardening. Just bought my home and now working on building my vegetable garden. Love to go camping.